An application server group with 5 application and database servers. 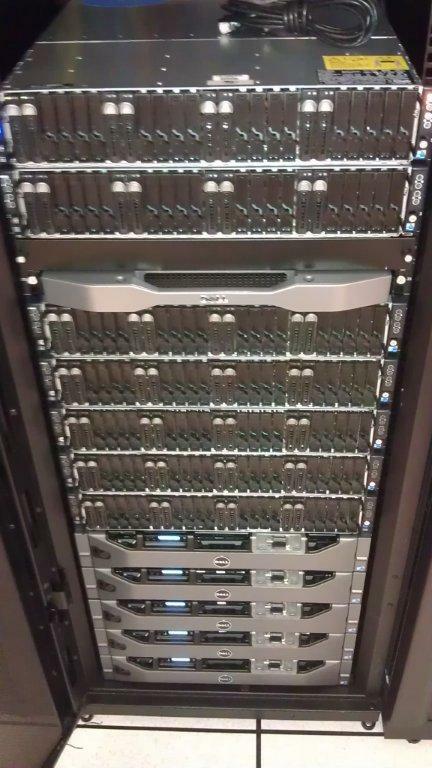 A high performance computing (HPC) system that consists of a cluster of 244 CPUs and more than 5.5TB of aggregated RAM. A distributed data storage infrastructure capable of managing up to 1petabyte of data. A team of bioinformatics specialists capable of supporting scientists in both data management and data analysis tasks.